God had created all mankind, but He’d chosen one special nation as His own: Israel. Through Israel, all the nations of the earth would be blessed (Gn 12:3). God had given Israel His laws through Moses (back in Exodus), and called them by His name (2 Sa 7:23). Through Israel, the world would know who God is. Nineveh, on the other hand . . .
Nineveh was the capital of Assyria, and a place of great wickedness. So the Lord tells a prophet named Jonah to “Arise, go to Nineveh, and cry against it” (Jon 1:2). But Jonah does something entirely unexpected: he boards a ship headed in the opposite direction. The Lord sends a mighty storm after him, which threatens to destroy the vessel. Jonah confesses to the sailors that he is a Hebrew, and that he is trying to escape Yahweh’s presence. His proposed solution: “Pick me up and throw me into the sea. Then the sea will become calm for you, for I know that on account of me this great storm has come upon you” (Jon 1:12). They do so, and the sea calms—and all the sailors recognize the God who spared them. Then comes the part everyone remembers: Jonah is swallowed by a “great fish.” He prays from within the fish, and God has it vomit him onto the land. Now we’re back to square one. God tells Jonah to arise and go to Nineveh, and this time Jonah obeys. He walks through the evil city, heralding Nineveh’s impending doom: in just 40 days, Nineveh will be overthrown. The Ninevites do the unexpected: they repent. And Jonah is not OK with this. Jonah is traditionally credited as the author of the book named after him. If that’s the case, he must have had a moment of clarity after the events took place! But it gets more interesting if we look beyond the chapter layer. 1. God sends Jonah to Nineveh. 1. God sends Jonah to Nineveh. 2. Jonah disobeys. 2. Jonah obeys. 3. God’s judgment comes after Jonah in a storm, and Jonah tells his shipmates that the storm is from Yahweh, the Hebrew God. 3. Jonah warns that God’s judgment is coming to Nineveh. 5. The storm subsides, and the crew is spared. 5. God relents, and Nineveh is spared. Jonah is the most widely known of the Minor Prophets, the last 12 books of the Old Testament. When God had a message for the people, He spoke through the prophets. His word came in visions, oracles, dreams, parables, and the like. Most of these book were written to the people of Israel and Judah, but Jonah, Obadiah, and Nahum are more concerned with surrounding nations. These Minor Prophet books record those messages. They outline the people’s sins, the consequences of those sins, and the proper response to God. Well, except the book of Jonah. It’s a story, not a sermon. It focuses on the prophet, not the people. 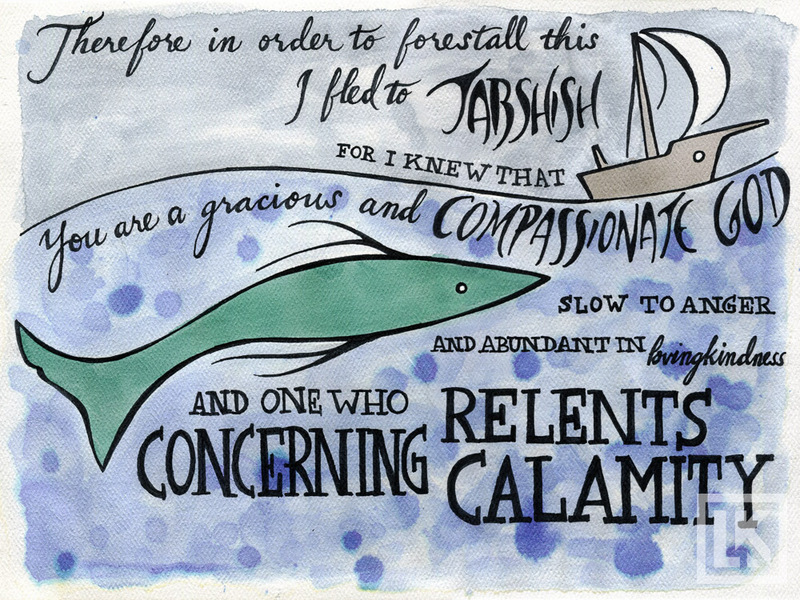 And Jonah contains hardly any prophecy at all . . . only one line: “Yet forty days and Nineveh will be overthrown” (Jon 3:4). 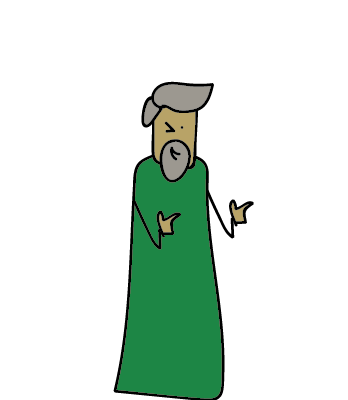 Among the books of the Bible, Jonah is a bit of an oddball. Jonah’s life events told some of Christ’s story, and his message foreshadowed Christ’s message: repent! But Jonah isn’t all about repentance. It’s also a story of God’s compassion for all peoples, not just Israel. Remember the two-episode breakdown of Jonah above? In both episodes, the Hebrew (Jonah) gets people from other nations to recognize God’s sovereignty and compassion . . . even when he disobeys. The book of Second Kings tells us that Jonah had a prophesied about Israel’s king Jeroboam II (2 Ki 14:25), which means his ministry may have overlapped with those of Hoesa (Hos 1:1) and Amos (Am 1:1; 7:11), who also preached to Israel during Jeroboam’s reign. Through the book of Jonah, we see God’s compassion for Nineveh when they repent. But Nineveh’s repentance is not permanent: they return to violence and wickedness. The Assyrians (whose capital is Nineveh) come against Israel and carry her off into exile (2 Ki 17:6). Nineveh becomes so wicked that the Lord chooses another prophet, Nahum, to speak against it. But this time, there’s no way out (Na 2:13). However, God’s story of compassion for the nations has only just begun. Later, there will arise yet another Prophet who will obey and submit to God (Php 2:8), who will be a light to the Gentiles (Lk 2:32), who will make disciples of all nations (Mt 28:19–20) . . .
Hi, Jeffrey! You are really doing a great job. But please, how will you react to this? 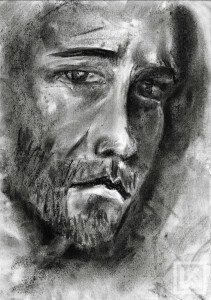 I listened to a message from the Book of Jonah very recently. The preacher said that the message of Jonah was not theological. His argument was that Jonah said, “Yet forty days, and Nineveh shall be overthrown!” (Jonah 3:4). In the end of the message, the preacher commended Jonah, however, for the great results he obtained. He concluded by saying that although Jonah’s message was not theological, it was the greatest message ever preached in history because even animals repented. So, how will you react to this? Jonah told the people they were done for. The people did what they could to make things right (and survive). I think this might make Jonah’s message one of the scariest sermons ever preached, but not necessarily the greatest. I recently attended a class wherein the professor (from a local Christian college) taught that Jonah is an allegory that could not have happened because Ninevah did not exist at that time. I do not believe her, but was heartbroken that she spoke this to 50 people and most of them appeared to agree. I came home and tried to google Ninevah, but am disappointed with recent attempts to use google. It will not zero in on what I really want to know. What can I say her to her next week at our next class? Jesus spoke of Jonah like he was a real person. Sadly, this professor, probably also doubts that the words of Jesus are real also. But maybe some who are listening will have open hearts to receive the truth. 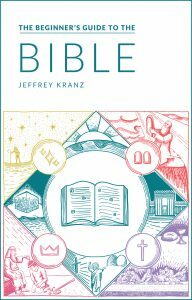 This has the potential to be the most embarrassing book in the Bible for a Jewish prophet, but it is included in their writings, therefore it is not an allegory but a true story that maybe archeology has yet to catch up with. In my next class with her, during break, a Christian friend of mine told me that she is a convert to Judaism and prefers to use her Hebrew language skills in a different way than thoroughly prepared Protestant Hebrew professors. It was like missing pieces of a puzzle. I feel as if with her humor, mastery, and presence she is trying to convert us as well. It is hard to believe that a Lutheran university would have her on staff. They obviously do not realize how logical and persuasive she can be. The other alarming thing that she said on Tuesday was that all of those Messianic verses found in Isaiah were translated incorrectly by Christian scholars of Hebrew and that did not know the language well enough to do it correctly. Marilyn, it’s interesting to read your comments. I grew up in a church that taught that it wasn’t necessary to read the bible. I was taught to just follow the church rules and let the church leaders interpret the Word, because lay people weren’t equipped to understand it. I began Googling the things that didn’t feel right to me, and the more I learned, the more questions arose. Long story short: this professor’s teachings – particularly the things that didn’t ring true to me – were pivotal in my eventually leaving the church of my childhood and becoming a Christian. The desire to study the word has burned in me ever since. Now,12 years later, I’ve launched my own women’s ministry that includes biblical storytelling. The take away: God can use even questionable words to bring an earnest seeker to Christ. Theresia, thanks so much for writing. My story is the opposite. I attended a church since infancy that encouraged us to be in The Word. So we took different paths, but I think we have arrived at the same destination. Speculation, I don’t know. I said, “I feel”. That’s a comment on my feelings. It’s my opinion. I did not mean to speculate, but thanks for saying that Jeffrey; you made a good point. It will keep me on my toes as to how I express myself..
As to Jonah as an allegory, a few questions come to mind. One for you, and a few that you might ask your professor. 1. “Nineveh did not exist at that time.” When was Jonah written? I am *not* an OT professor (or a professor by any means!) I consistently read that Jonah’s date is up for debate. 2. Why does Jonah’s date make it allegorical? Even if Nineveh were long gone by the time the book was written, I’m not sure how that makes the story an allegory. 2. If it’s an allegory, does Jonah have any theological value? I assume her answer will be “yes,” and it might be interesting to know what she thinks. Overall, are you enjoying the class? Yes, except when things like this come up. I also did not like her treatment of Isaiah … she says there are no “messianic” verses anywhere in the book.